Darby Consulting is an IT consulting firm focused on delivering IT portfolios for growing organizations. We've invested in hiring experienced, certified project talent. 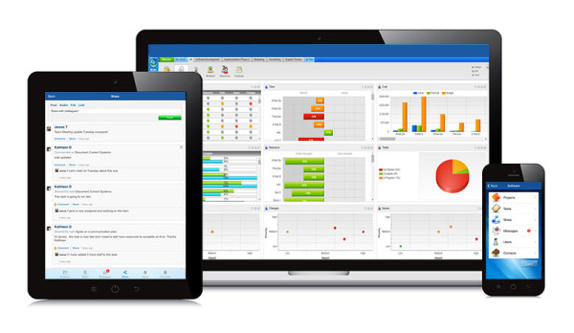 We've matured our project management processes to achieve greater efficiency. We've incorporated cloud-based ePMO tools to ensure every stakeholder knows where we stand in real-time. Why? Because we're passionate about delivering every project portfolio on-time, on-budget and within scope. Darby Consulting is a full-service IT consulting firm specializing in IT project and portfolio management, systems design and deployment of software and hardware-related projects. 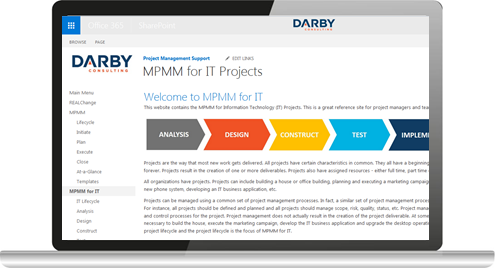 Supporting clients in the energy, government and education sectors, Darby helps growing organizations to maximize the value from their IT projects by integrating experienced and specialized IT project professionals, portfolio management methodology and cloud-based project management tools at affordable rates. 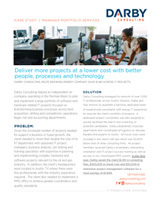 We believe your IT Consulting firm should deliver more than just people. That's why we continuously pioneer innovative and new methods to plan and deliver IT projects. The result? An IT Project experience that is customized and results driven for every client and every project. Our Project Management for IT™ methodology is backed by the Project Management Institute and includes a library of over 70 tools and templates designed to accelerate our performance on every project. We plan and manage a portfolio of IT projects utilizing a cloud-based Project Management System to help keep our clients and consultants connected in real-time so everyone knows where we stand. We use it to track schedules, document and track requirements, identify issues & risks and monitor the completion of tasks. The result? Our projects are consistently delivered on-time, on-budget and within scope. 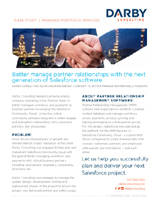 We believe that strong and reliable project management support should be easily accessible to growing organizations. That’s why at Darby, we have built a cost-effective operating model fueled by innovation and technology. This allows us to offer exceptional IT project services at an affordable price. Between our people, methods and tools - we create value with every element of what we do at Darby.